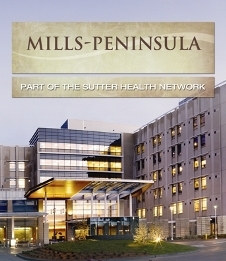 A man is suing Sutter Health and the Mills-Peninsula Medical Center in Burlingame for taking out the wrong part of his lung and leaving in the part infected with cancer. Mark Seidenfeld is suing the hospital over an April 28, 2016 surgery to remove a cancerous portion of his right lung. But he contends the surgeons took out the wrong part. His wife, Lesli Wood, is also a plaintiff in the lawsuit. Two days after his surgery, Seidenfeld began bleeding in his lung and had to be admitted to the emergency room, according to the suit filed Tuesday in San Mateo County Superior Court. Because of the bleeding, doctors were not able to immediately determine whether the correct portion of Seidenfeld’s lung had been removed. A month later, on May 26, 2016, Seidenfeld received test results that indicated surgeons had in fact removed the wrong part of his lung. Neither Wood nor Seidenfeld were told there were any complica- tions with his surgery, the suit said. “(Wood and Seidenfeld), did not know, and did not have any reason to suspect that Seidenfeld’s post-surgical complications were the result of medical negli- gence,” the lawsuit states. Because of the bungled surgery, Seidenfeld had to undergo another surgery to remove the cancer, the suit states. “As a result of errors in the April 28, 2016 surgery, Seidenfeld suffered painful, avoidable post-surgical complications, a second surgery and permanent loss of pulmonary function,” the suit says.